The long and successful partnership between Carl Frampton and Barry McGuigan is over. THE RING’s 2016 Fighter of the Year announced the move Monday, severing ties with the manager and his company, Cyclone Promotions. The Belfast native is trained by McGuigan’s son, Shane, and it’s unclear if they will remain a team. Frampton didn’t disclose who will promote him going forward, but he remains advised by Al Haymon. “I can confirm that I have parted company with Barry McGuigan and Cyclone Promotions,” Frampton wrote in a statement on social media. “I would like to thank Barry, the McGuigan family and Cyclone Promotions for our time together. “Having taken time to consider my future and discussed it with those closest to me, (and) I am confident that now is the right time to move forward and take my career into my own hands. Frampton (23-1, 14 knockouts) was scheduled to fight Andres Gutierrez on July 29, but the bout was scrapped after the opponent fell in the shower and injured himself. Frampton’s last fight came in January, a loss to Leo Santa Cruz in the rematch. The 30-year-old has been managed by McGuigan, a hall-of-fame-enshrined former featherweight champ, since he turned pro in 2009. 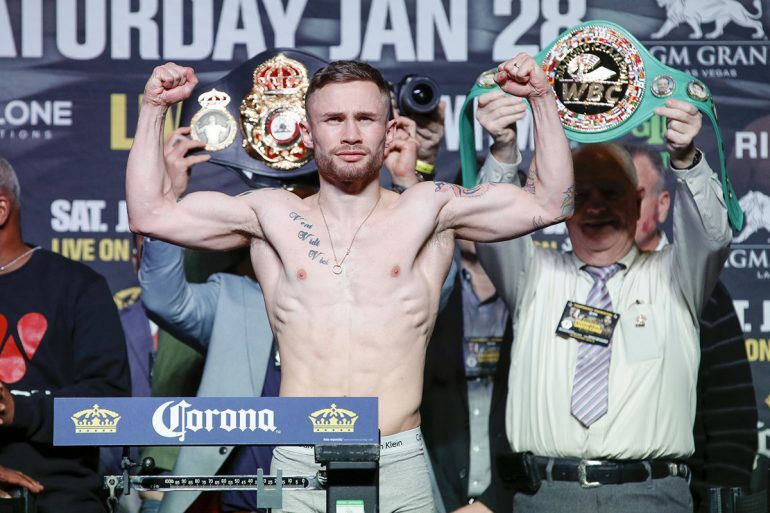 Under McGuigan’s guidance, Frampton became one of the most recognized fighters in the sport, and won titles at both junior featherweight and featherweight. Now, Frampton will look to recapture the 126-pound crown without McGuigan by his side.